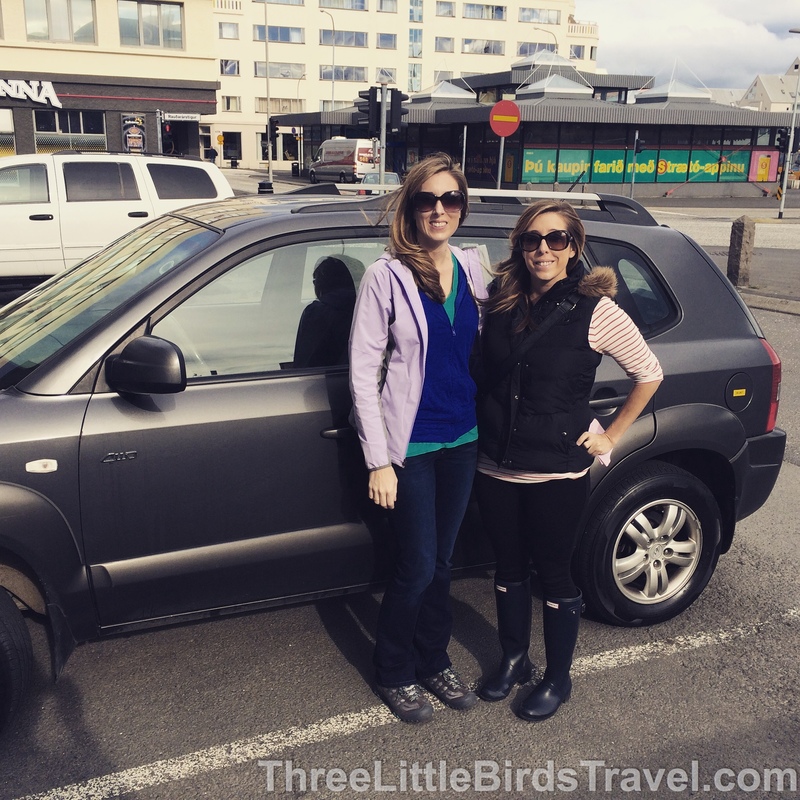 Driving in Iceland – It’s easy with four expert tips! For our 2015 Sister’s Trip, my sister and I decided to explore the beautiful country of Iceland! Early on we decided that if we wanted to see everything this country had to offer, we would need to make it a two-week road trip! Watch out for sheep..they are everywhere!!!! The best part of driving in Iceland is going on the gravel roads, dirt roads and F-roads. You MUST have a 4×4 to go on the F-roads, but we found that our 4×4 was really helpful on the regular and bumpy roads too! While still expensive ($1300/2 weeks), we decided to rent from Viking Car Rental. We found their responses and customer service to be far superior from other companies that we spoke to and appreciated that extra bit of security just incase something happened. Your car rental can be a bit costly and that’s because you need the 4×4 SUV with all the extra insurance (ash, gravel, etc). Make sure your car comes with this or pay the fine! GPS came with our Viking Car rental, but if it doesn’t, it’s worth the extra money to have it. Your other option is to get lost and use your phone for data which can cost even more. Driving in Iceland is so much fun, but paying for gas is not! We spent about $700 on gas during the two week vacation. If you’re traveling from the US and don’t have a credit card chip, you will have to purchase a prepaid gas card. I recommend buying gas at the N1 Station because that seemed to be the most reliable. They sell the gas cards in 3,000kr, 5,000kr or 10,000kr options. While getting gas, make sure you grab road snacks! We found Doritos that were labeled “Cool American” flavor….perfect!!! « My Regal guide to the UK that’s fit for a Queen! Iceland is the next destination on our list and we can’t wait. We live in Northern Ireland and usually we are quite limited in terms of direct flights but the Northern Ironers must’ve taken a liking to Iceland because we now have several options and we can get there in very little time. Looking forward to reading about more of your adventures there! oh wonderful!! Iceland is the best!! I am definitely working through other posts so you’ll see more helpful info in the next few weeks. I’m also working on posting more pictures to my Pinterest page so watch out for that. Might help with planning places you want to see! oh yes! I’m from Chicago, but it was only a 5hr flight from NYC. Not too bad!